If you want to ensure that you will have a fruitful fly fishing trip, you will need to be careful about the flies that you take with you. Now, there are a considerable number of options to choose from, in this department. However, if you want to be truly successful, you are going to need to determine what the best fly fishing flies for you are. In case you haven’t had much success with this so far, I have got you covered. You will be able to figure out what elements you need to factor in as well as get some insight into what the best options are. Before going any further, I will first outline the various types of flies that are most commonly used. This is so that you can get an idea of what may and may not work for you. The dry fly is undeniably one of the most favored flies. It is so named because it rests on the water rather than dipping below the surface. Due to this, it imitates the action of an insect that has just landed on the water. Perhaps the main benefit associated with this type of fly is that it allows you to see the fish has been attracted, allowing you to reel it in. You also get to see a wonderful display, which many anglers find quite pleasing. At the same time, it can be difficult to be quite successful with dry flies. This is because most fish prefer to feed beneath the surface of the water. “Match the Hatch” – This kind of fly is created to physically resemble insects that are hatched either on or in the water. If you have ever been out on the river, you would have noticed these kinds of insects. They spend their entire life – from the nymph to adult stages around the water. The flies can look like midges, mayflies, mosquitoes, stoneflies, and many more. Terrestrial Flies – As the name suggests, these flies look like insects that you will find on land. These include ants, crickets, and grasshoppers. These flies tend to be larger in size and often consist of foam, which is why they float. These type of flies are gaining in popularity, particularly, as they are beginning to look more realistic. Attractor Flies – Unlike the other kinds of dry flies, attractor flies do not resemble bugs – they are not meant to. Instead, these flies utilize bright colors, moving pieces of rubber, and other materials that are intended to attract a fish. The reason that anglers rely on attractor flies is that they hoping the colors and the movement will tempt the fish into biting without inspecting ‘the food’ first. When anglers don’t have much luck with dry flies, they often turn to nymph flies. These mimic the nymph stage of insects’ life cycles – this is where the insect spends most of its time underwater. Thus, the nymph fly sinks just below the surface of the water. The primary advantage of the nymph flies is that it looks like many fishes’ main food source, including trout. This makes it more likely that the fish will bite. That being said, there is a downside with these flies. Since it is beneath the water, it can be difficult for you to tell whether or not the fish has latched on. So, it is best to use this type of fly in clear waters, where you can easily see to the depths below. Otherwise, you will need to use strike indicator float to let you know when the fish bites. These flies are bigger as they are meant to bear a resemblance to larger insects or perhaps, even a minnow. With streamers, you need to adopt a different type of fishing. Here, you will float the fly but also shift it around in either short or long bursts of movement. This entices the fish to bite. 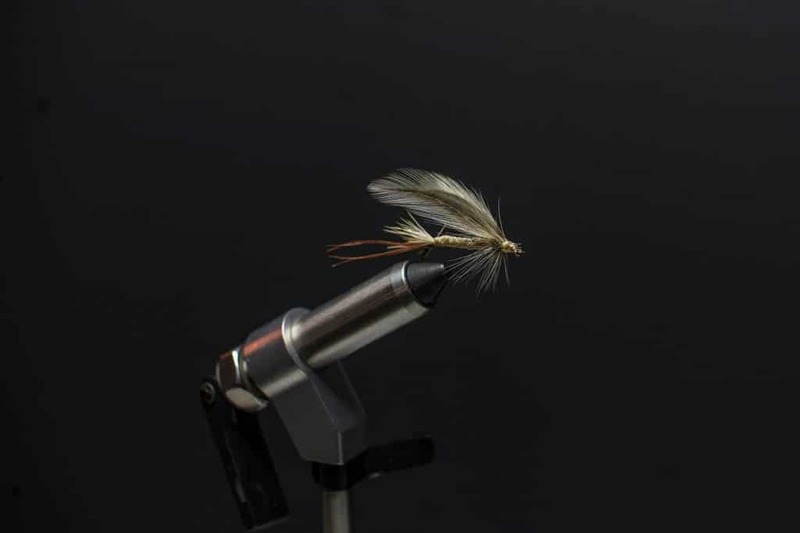 Now, a word of caution when using streamer flies: while they are very efficient, they also cause the fish to move quickly and to bite hard. So, you will need sturdier equipment if you don’t want the fish to get away. The first thing that you should think about is where you are fishing. This is so that you can find flies that mimic the insects that are located in the area. These are the ones that will most likely garner you the greatest number of bites. If it is a local spot, this should be fairly intuitive but if you are going to an unfamiliar area, you may want to do some research first. Now, you may have noticed that large numbers of certain insects seem to crop up at one time of the year. This is due to their lifecycles and it can be helpful to you if you can keep track of them. Typically, summer results in a greater number of insects that are typically fully grown. So, during this time of year, you can use larger flies. During winter, there isn’t as much of a variety so you will be better off with smaller flies. As you can imagine, a fish is rarely going to go for a fly if it doesn’t find it appetizing. So, you should figure out what kind of fish you are after and determine what their diet largely consists of. Now, you should be aware that even with this information on hand, the flies that you use could be a hit or a miss. You will need to keep trying different types and sizes until you figure out what the fish are hungry for. The last piece of advice that I will leave you here with is to remember that you have to match your fly fishing equipment on the fly that you are using. After all, the leader and tippet are directly affected by the kind of fly that you will be attaching. If you are just starting out with fly fishing and don’t have any flies of your own yet, this is the kit for you. In total, there are 120 pieces and they include dry, nymph, and streamer flies, basically anything that you might need while fly fishing. Also, since the flies are made to mimic bugs at various stages of their lifecycle, you will be able to fish all throughout the year with these. Of course, it doesn’t matter how many flies you have if they haven’t been constructed properly. These flies are all handmade which means a great deal of care has been taken with, ensuring that they look quite authentic. This, in turn, increases your chances of the fish biting. Another reason that I would recommend this kit is the waterproof box that the flies come in. It allows for all of the flies to be neatly arranged and is small enough for you to carry to your fishing spot without any hassle. The only issue with these flies is their lifespan. There are some that tend to fall apart when they hit the water if they have been used a few too many times. The Outdoor Planet dry flies are certainly a great deal if you don’t want to spend too much of money on your flies. While they are some quality flies, I would recommend this for beginner anglers rather than more experienced ones as they don’t offer much variety. Due to this, it doesn’t really work as a starter pack as you only get 12 flies to use when fishing. Now, these flies fall under the category of the attractor flies so you shouldn’t expect them to actually resemble any insects. Instead, they are woven with shiny material and colorful feathers that are sure to catch the attention of any fish, especially trout. At the same time, the top portion of the flies are in more muted tones so – from far away – they do tend to look like insects. This increases your chance of encouraging a fish to take a nibble. Not only have the manufacturers used quality materials, they have been hand-tied to the hooks for a much better finish. Also, the hooks are quite strong, which means that you can use them over and over again. What I like most about the Outdoor planet pack is that it is, in fact, assorted – although there are just fifteen flies here, there is a good variety. This comes in handy if you want to try out a few different options to figure out which ones the fish seem to be responding most to. You get a nice balance between the muted, toned-down ones and the brighter, more eye-catching flies. This also has the advantage of allowing you to use the flies in different conditions – for instance, if the water is cloudy, the brighter colors will be more useful while conversely, in clear waters, the duller options will work best. The flies are relatively well put together and most of them will last you quite a while. Nonetheless, there are a few in the pack that do appear to come undone relatively easily. So, you may not be able to use the entire kit for as long as you would like. That being said, it is nice that the flies come in a durable and easy to organize box. The box is just small enough to fit into your pants or vest pocket on a fishing trip, making it quite useful. The Wild Water Assorted flies has everything you need – both wet and dry flies. This is a kit that will work well for both beginner and advanced anglers alike. This is because it contains a large number of realistic looking insects in all sizes. In addition to this, there are also streamers in both dull and bright colors. The reason that all of these factors are so great is because it allows you to fish practically at any spot, during any time of the year. See, you will have flies that will work well in the spring, summer, or winter, for a variety of fish. On top of this options in styles and colors make them excellent for clear or murky water. The flies are sold in an excellent little case, which is lightweight and fits into your pocket beautifully. The real perk here is that the case lets you neatly organize all of your flies so that they can be located in a pinch. Perhaps the one caveat that I have is that the flies are a bit small for certain kinds of fish such as bluegill. The LotFancy fly fishing tackle is a nice mix of dry and wet flies. This gives you a little bit of leeway while fishing to mix things up so that you are able to experiment with what works in that given situation. In all, there are about 30 flies in the kit, which is more than enough for most anglers. These flies not only appear to be of good quality, they also handle well in the water. Even after several uses, they are still holding strong. This is quite heartening for the price that you pay for them. Unfortunately, the case isn’t that great but that isn’t too important since the flies live up to the company’s promises. While the flies certainly are effective, there are a few things that they lack. For one thing, the dry flies are largely attractors. This means that you don’t get fish with realistic-looking insects, which does hinder your capabilities a little bit. Now, one thing that you should note is that these flies are a bit on the small side – which is not a disadvantage. However, with this in mind, you will be better off using the flies to catch small to medium fish. If you are looking for lots of variety as well as rather realistic options, then the Lureshine fly fishing set will serve you well. The first benefit is that you get both dry and wet flies to choose from. The dry flies, in particular, look quite realistic, especially when floating on the surface. You can clearly tell that the makers have paid a great deal of attention to all of the details. The wet flies work well too with plenty of color and movement to attract fish even from far away. You are sure to get at least a couple of nibbles from some curious fish and may even be able to reel in some of the larger ones. The quality of the flies also appears to be quite good. The materials are durable and the hooks are sharp so you will have no trouble working them in the water. My only concern regarding these flies would be the longevity of the flies. The flies have been hand-tied but it is uncertain just how many times that you will be able to use them before they begin to come undone. The Wild Water flies would definitely be considered the best of this lot. Now, there are a couple of reasons for this. First, I liked the realistic looking insects and the fact that there was so much variety to choose from. Despite this, the manufacturers didn’t skimp on the quality and each fly was as perfect and durable as the last. The other benefit is that this collection is suitable for all kinds of anglers, regardless of where they choose to fish. If you want just one kit to take with you, everywhere that you go, this would be the one for you. 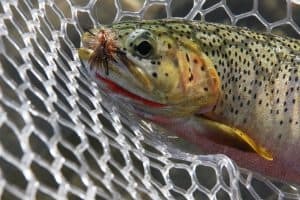 These are the best fly fishing flies, along with a guide to help you out when you are trying to find which one is right for you.